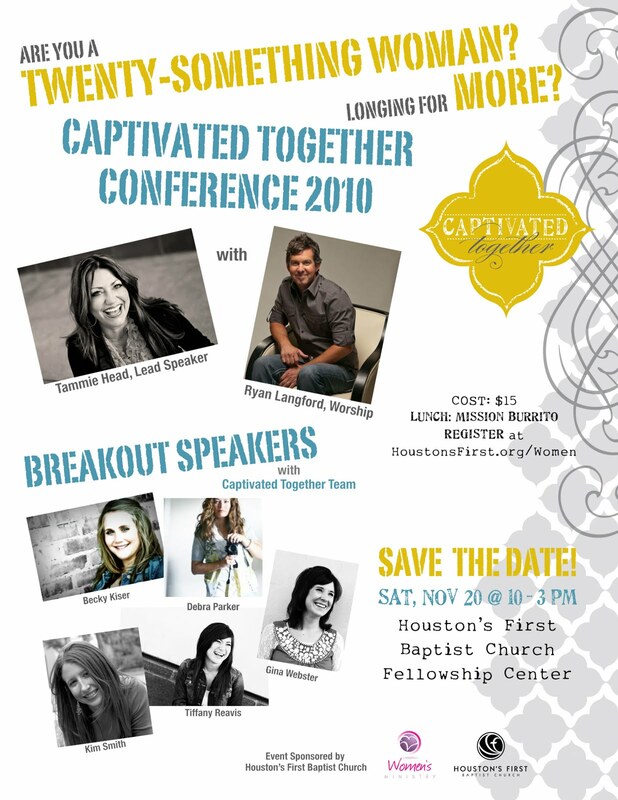 Register for The Captivated Together conference. First, you should know "twenty-something" means that you are around that age. So for all my girls that are in their 30s, this is still for you! And all my friends that are in college and in their late teens this is for you too. All "twenty-something" means is that this conference is geared towards "twenty-somethings" as opposed to most women's events that have to be targeted to 40-somethings since the age range is 20-60ish. So now that that excuse is out of the way, please register. Fun News: Captivated Together isn't a one time thing! There will be this one time event to kick off a ministry that will be geared for us "twenty-somethings" that will be going on once a month. More details to come soon.